You can read this article in Welsh here. Last summer, the Government published a white paper outlining its plan for a new Language Act. An Act, which would, in Cymdeithas yr Iaith’s view, be a step backwards for the Welsh language, and wouldn’t help to meet the laudable target of reaching a million speakers. After studying the plans, we’ve come to the conclusion there so bad that it would be better if the Government didn’t legislate at all rather than pressing ahead with them. Their Bill owes more to thinking a quarter a century ago than something based on decades of experience and history. Yes, their plans are so bad, we’re asking to keep the present system. Last month we saw a boss of another big business making insulting comments about Welsh. Trago Mills is just one company among many, but the outburst from the chain store boss shows once again how great the need is for a Language Act that extends to the private sector. Reducing regulation is the purpose of Welsh Labour’s changes – that’s what they say in public. The Minister repeatedly states that she favours ‘the carrot rather than the stick’. Indeed, in her own response to Trago Mills’ anti-Welsh rants she said it’s ‘important that we underline the importance of this company’. ‘There are a lot of jobs here in an area that needs jobs, so I actually wouldn’t support those calls for people to be suspending their use of the shopping centre,’ she said. Cue experienced campaigners weeping head-in-hands, as the Government Minister completely ignores the lessons of history. Why should we have to persuade bigoted big business men that language rights are fundamental human rights? 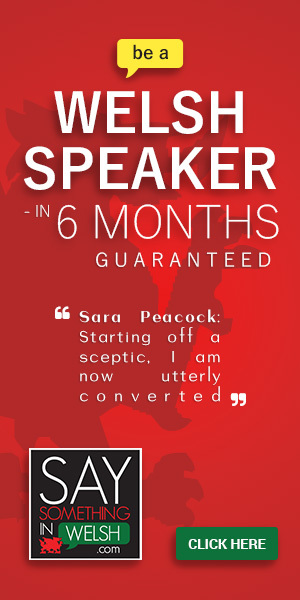 Depending on persuasion has been tried in Wales for a quarter of a century. It’s an approach that failed, that’s why the system changed. Many companies, like Iceland, are completely open that they won’t change their English-only policies because there’s no legal obligation on them. And the public backs a stronger law: a recent YouGov poll showed that the majority of people want to extend language legislation to include banks and supermarkets. Welsh Labour has set up a false choice between ‘goodwill’ and regulation: both are needed, there’s no need to choose one over the other. The truth is that the Government is using the excuse of the need for more promotion in order to reduce regulation. Kowtowing to big business: all in the name of ‘balance’. Would they say the same about workers’ rights? The system suggested by the Government would weaken rights to complain by removing the current right to complain straight to the Commissioner. So, workers denied rights to use Welsh in the workplace would be forced to complain to their managers rather than an independent body. Eluned Morgan also only wants complaints to be investigated and if they are ‘serious’ – another throwback to the old Language Board days. Under that discredited system, you could complain, but most were ignored because they weren’t considered important enough. Basically, organisations didn’t risk any sanctions for breaking the law. Welsh speakers lost faith in a system that gave bodies a free hand to ignore their ‘commitments’ to the language. People couldn’t get justice. It’s only two years since the Commissioner started regulating the Standards for some public bodies, and yet the Government now wants to abolish the job. A decade ago, there was a broad consensus that the Welsh Language Board had failed, and following a mass campaign and cross-party agreement, the Welsh Language Commissioner was established as a high profile champion of the language. Replacing the role with a body very similar to the old Language Board would turn the clock back, repeating the same failures of the past. Cymdeithas supports an additional body to promote the language, keeping regulation and promotion separate. Such a body could be setup now, without passing more primary legislation. That would mean the Commissioner could continue regulating, with a new, separate body able to concentrate on promotion. Even the bodies who are regulated by the Standards think that getting rid of the Commissioner would endanger the momentum of recent years. Evidence also shows that 76% of people believe public bodies’ Welsh language services have improved under the Commissioner, and Welsh language skills are essential for 56% more jobs than the year before the Commissioner-regulated Standards came into force. However, despite these improvements, instead of extending the Standards and its successes to more sectors under the Commissioner’s management, the Government says it’ll do nothing to pass new standards for around two years. They plan two years of delay until they get around to extending language rights to other areas so they can waste time on their proposals to weaken the system and rearrange the bureaucracy. Already, the Standards have created new rights, like the right to swimming lessons through the medium of Welsh. So why does the Government really want to delay expending the success to other areas? Because they want to put the interests of companies like Trago Mills before our rights to use the language. Faced with these facts, the Labour Government has turned increasingly desperate in its attempts to justify its Bill. The Minister claimed that last year’s consultation on the Welsh Language Bill showed ‘support’ from those who responded. But, in reality, only 15% of respondents backed their plan to abolish the Commissioner, the main proposal in the Bill. Over half the responses were ignored on the basis that they were part of a campaign. But even the Government’s own figures showed that 56% of respondents either disagreed or were unsure of the proposal to abolish the Commissioner. Since then, the Government has been forced to admit that their process of counting responses is faulty. Between abolishing the Welsh Language Commissioner, reducing the ability of the public to complain effectively and weakening the powers to enforce the Standards, Labour’s Language Act would be bad news. Instead of this legislation, they should instead concentrate on reaching one million Welsh speakers. They should use their existing powers to the full, including passing regulations in areas like utilities and mobile phones, steps that would improve the use of the language more quickly. Despite all their efforts to claim support for the plans – from biased questions, to blocking the public from attending workshops, and then refusing to report on the comments when they had to hold public sessions – they don’t have a mandate or the support to force this through. And we won’t let them. 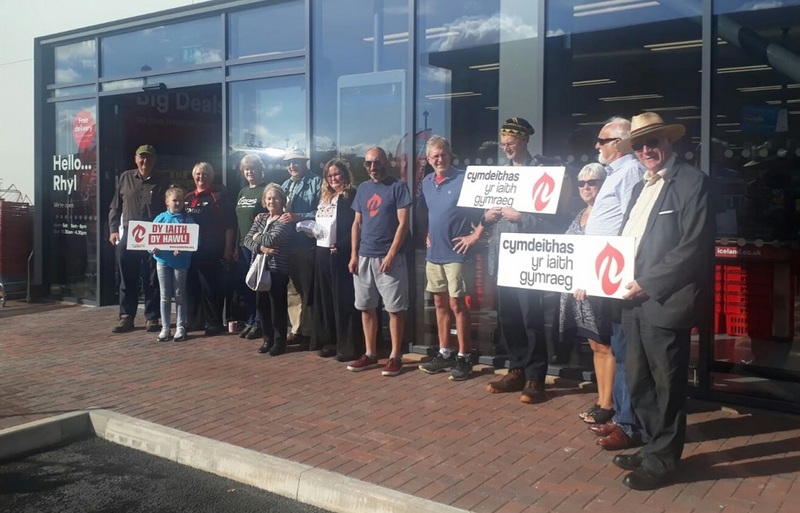 People will have the chance to voice anger at the proposals in the Cymdeithas rally in the Eisteddfod which starts outside Sainsburys in Cardiff Bay at 2pm on Friday, 10th August. 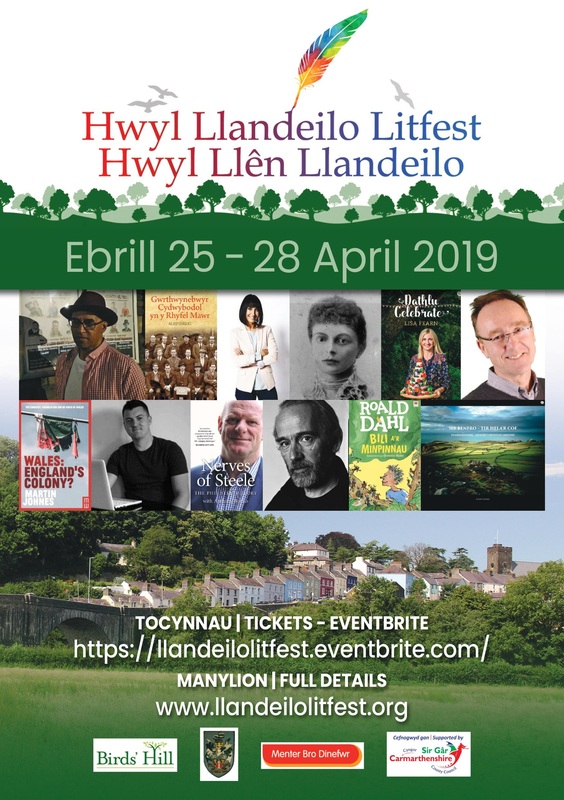 The speakers will include Angharad Tomos, Sian Gwenllian AM and Heledd Gwyndaf. Nation.Cymru is currently fundraising to pay for independent investigative journalism. Just £2 a month would make all the difference – please click here for details.